Thank you for your kind responses to my last post. I really loved reading all of your comments here and on Instagram. Isn't it amazing how many of us follow social media but feel it doesn't represent us? I look forward to changing that, at least here on my platforms. Let's just jump right into Project Crafts Department, shall we? 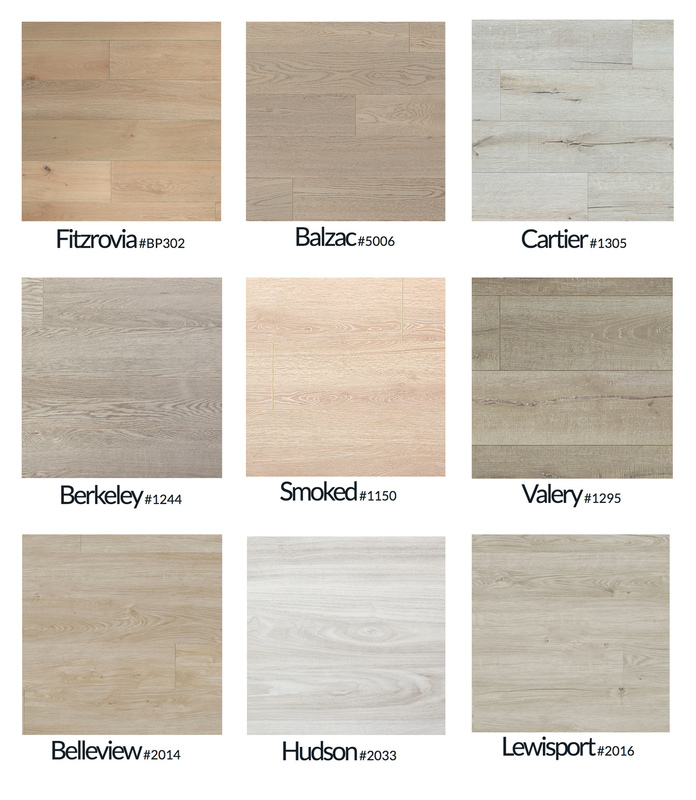 One of the first design decisions we had to make was selecting the flooring. In the laundry room and cold storage room, the flooring is bare concrete, just like in the craft room. In the main part of the basement, shown above, the flooring is a laminate, though sadly, it's a laminate we dislike very very much. The laminate isn't flat and has a sort of rippled texture. It feels super smooth, almost like plastic and the planks have rounded edges which fit tightly together. 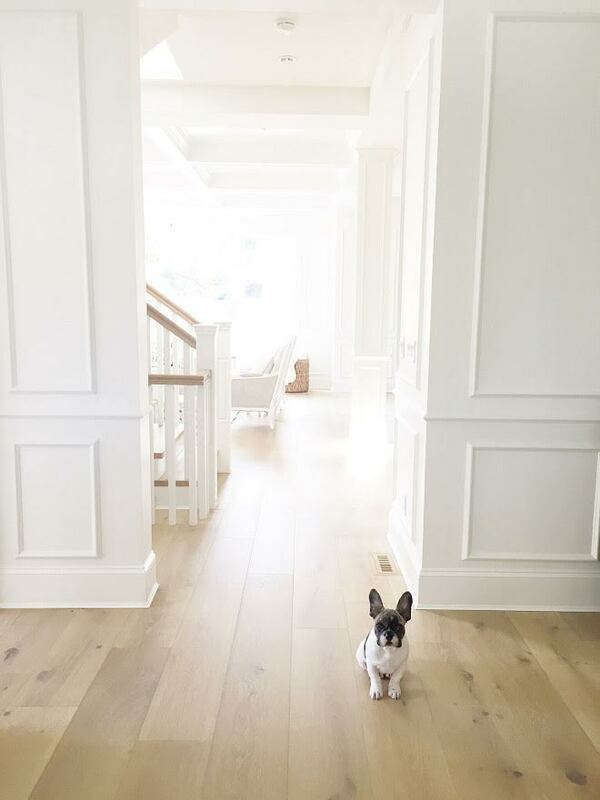 While it's in good condition, it's not a flooring that we love. 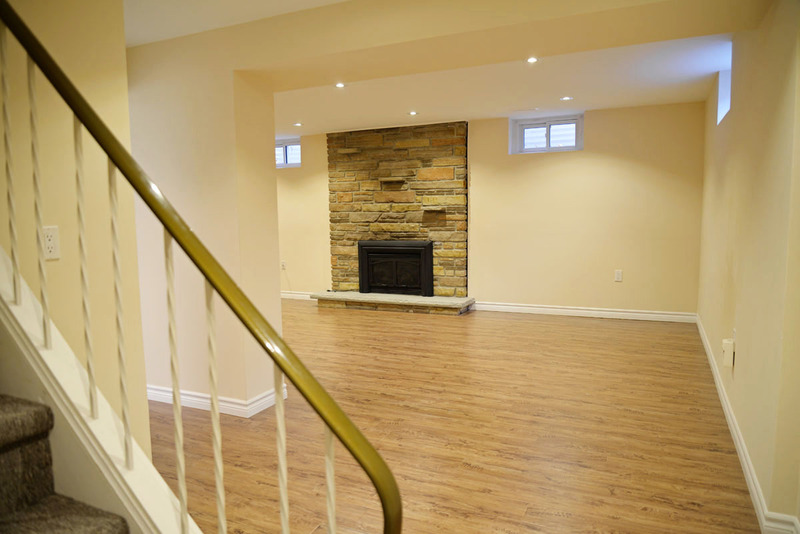 The colour and the texture are too rustic and dark for our taste, and as the flooring is the biggest element in the basement, it has a pretty big impact on the basement's design. For the craft room, I debated between two different looks - a decorative tile or a wood look flooring similar to what we had in our previous basement. Tile would be great for cleanup in a craft room. It could be a way to add pattern and colour and add playfulness and whimsy to the design. But, with the cold storage room beside the craft room, it could feel very cold on the feet. If we were to install tile, in-floor heating might also be needed. 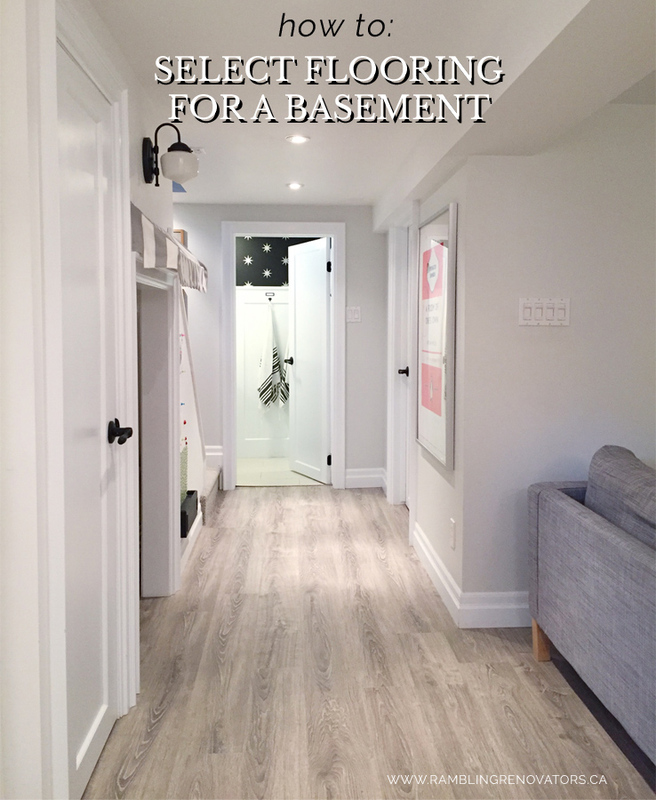 For a basement, moisture resistant flooring like engineered hardwood, laminate, or vinyl are also viable options. In our old basement, we used Kamina Oak, a grey-toned laminate. I loved loved loved that laminate! It was indestructible. It withstood every craft project, table scrape, birthday party, LEGO ding, wheeled office chair, and dropped toy we threw at it. I think most of you loved it too - I still get questions about it, five years later! 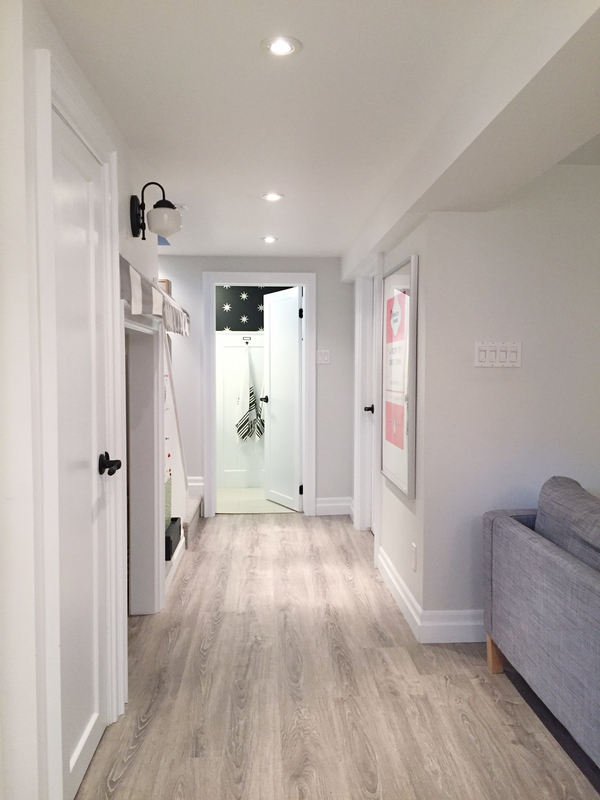 Impressed by the quality of our old laminate, I looked into other flooring options offered by the manufacturer, Beaulieu Canada. Beaulieu Canada is a full flooring distributor and I knew they would have an engineered hardwood, laminate, or vinyl that would fit the bill. In the end, decided to go with a laminate product. We wanted something that has a bit of texture, thickness, and would be easy to install - this will be a DIY project after all! And it will be a big one at that: we decided to install new laminate in the craft room and also replace the existing laminate in the main basement space. 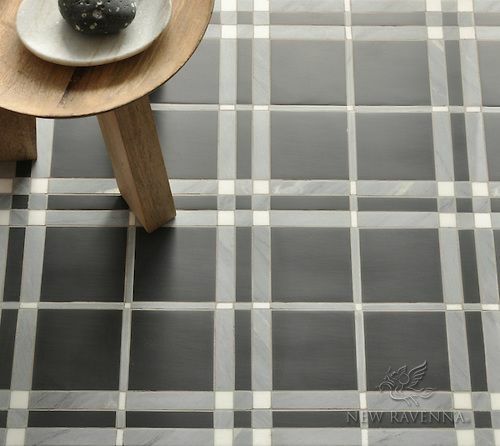 This will give us consistent flooring and provide a look we love. I'm hopeful we can remove the old laminate without much damage and be able to donate it to a place like Habitat Re-Store or at least Freecyle it. I'm excited to work with Beaulieu Canada for this flooring project and am looking forward to once again install their quality product in my home. Floor samples have been reviewed and the laminate product has made its way to my house. We've installed the flooring in the craft room so far and I can't wait to show you what we picked! The old empty craft room is looking so much better already.